In the world of audio, the term ‘transparent’ gets thrown around a lot but usually it is referring to the sound of a given piece of audio, not what the speaker producing it looks like. The Oneclassic Wireless Hi-Fi speakers aim to offer a bit of both. 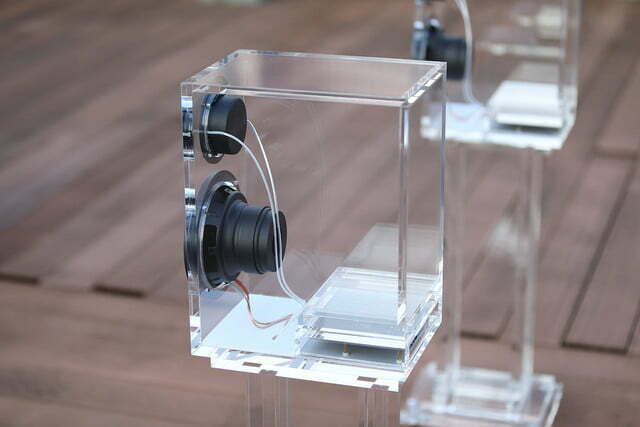 This isn’t the first time we’ve seen a transparent speaker, but that doesn’t make the look of the Oneclassic speakers any less impressive. 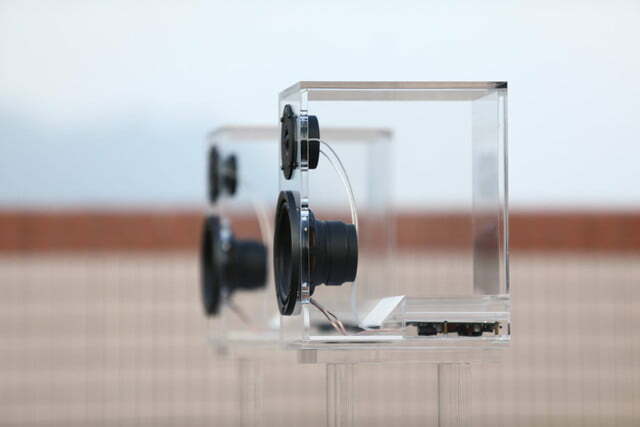 While other brands have used glass, manufacturer Oneaudio chose acrylic, claiming that the sound is warmer and more natural sounding. While we haven’t heard the Oneclassics, there is another advantage that acrylic has over glass: It’s much harder to break. If you knock one of these over, you don’t need to worry about your floor suddenly becoming much more dangerous than it was a minute ago. The look isn’t the only thing that the Oneclassic Wireless Hi-Fi speakers have going for them, as Oneaudio says this is the world’s first audio system to use DECT (Digital Enhanced Cordless Telecommunications). Known in Europe, Australia, South America, and Asia for use in cordless phones, DECT offers an advantage over Bluetooth and similar wireless connectivity. While many standards send signals to one speaker and then the other, DECT sends signals to both speakers at the same time, just as a cable would. This more tightly synchronized sound should make for clearer, better sounding audio. 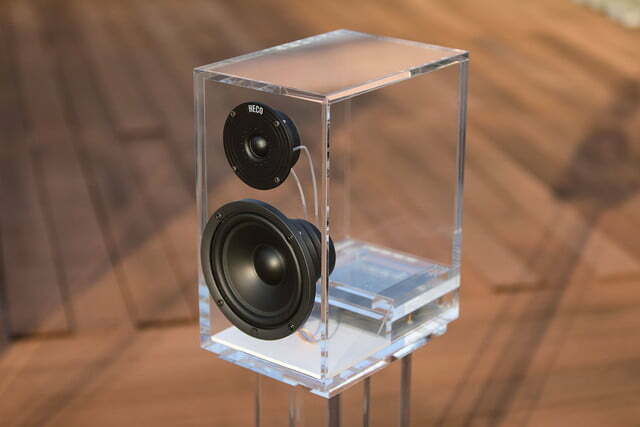 Inside the clear acrylic bodies, each speaker packs a 6.5-inch paper cone woofer and a two-inch silk dome tweeter, with the built-in amplifier pushing up to 70 watts and 50 watts of power respectively. Four different sound profiles are supported — warm, natural, clarity, and dynamic — with onboard EQ for further customization of the sound. When it comes to setup, the Oneclassic speakers don’t need to be hooked up to an amplifier, with a simple USB dongle or optional console box taking care of everything. Connectivity from mobile devices and computers is supported out of the box, while the console box add-on allows you to play audio from your TV, Blu-ray player, or other gear. The Oneclassic Wireless Hi-FI speakers were initially launched via Indiegogo, but there is no need to worry about the risks involved with crowdfunding anymore. 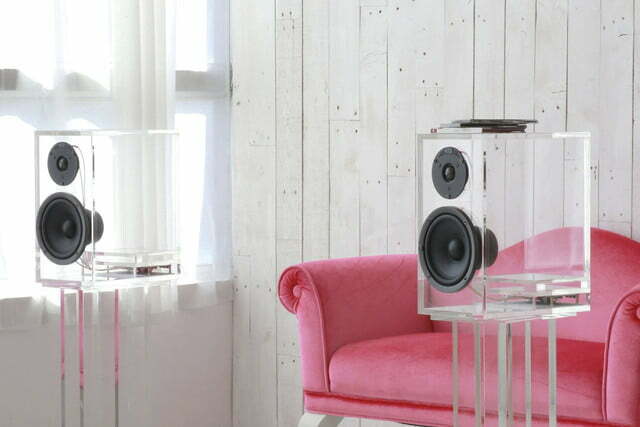 The speakers are available for $2,000 via the Fancy website.